On Monday 12th December, our wonderful choir will once again be representing the school at 2016's fabulous Christmas Concert at Liverpool Cathedral. Children can practise the songs by clicking on the song links below and singing along at home! 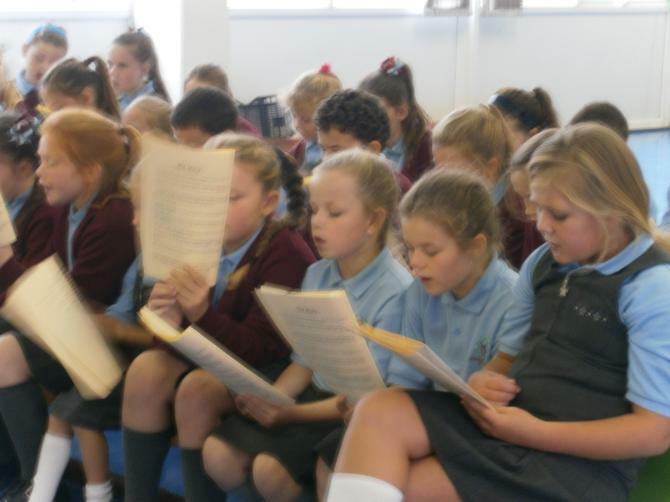 This Year in the Choir the children are already preparing for the 'Spring Big Sing' that will take place in the Liverpool Anglican Cathedral on Wednesday 20th April at 7.30pm. Below are the words for the children to practice if they wish, it is all themed around cartoons from the 1980's so I am sure it will trigger a few childhood memories amongst the parents! 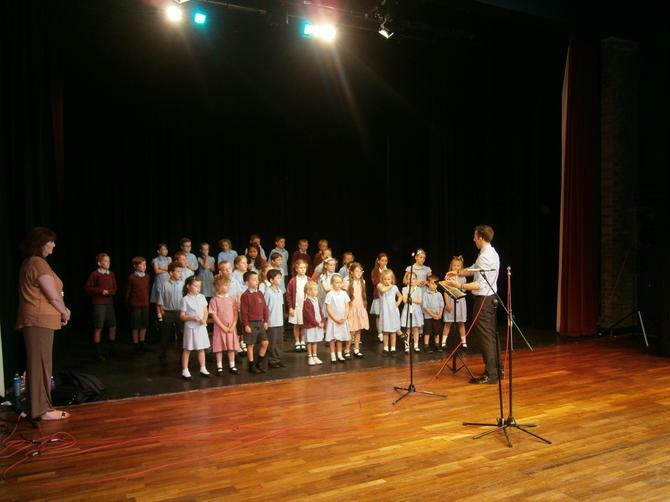 Our school choir is not yet 2 years old, and yet we have already performed at Liverpool Cathedral twice and The Valley Community Theatre! The Grinch that Nearly Stole Christmas! 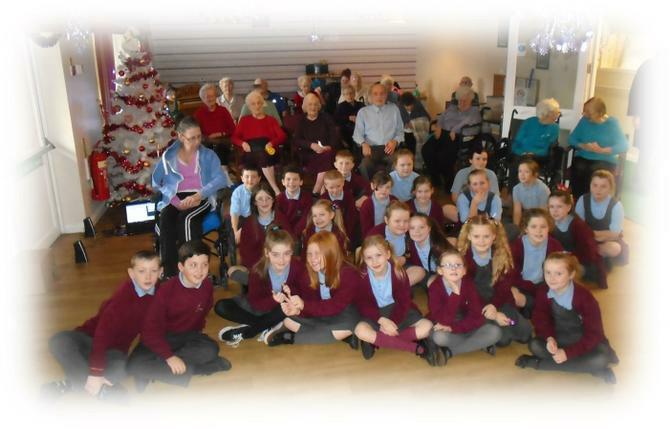 The children have been filling the Performing Arts Studio full of Christmas Cheer in preparation for the big performance at the Liverpool Anglican Cathedral on Friday 11th December at 7pm. If you wish to have some additional practice of the songs at home scroll down to the bottom for the lyrics. We recently performed in the multi-school concert 'God Bless Rock n' Roll' at Liverpool Cathedral, which was a wonderful opportunity once again to sing in one of the city's most prestigious venues. 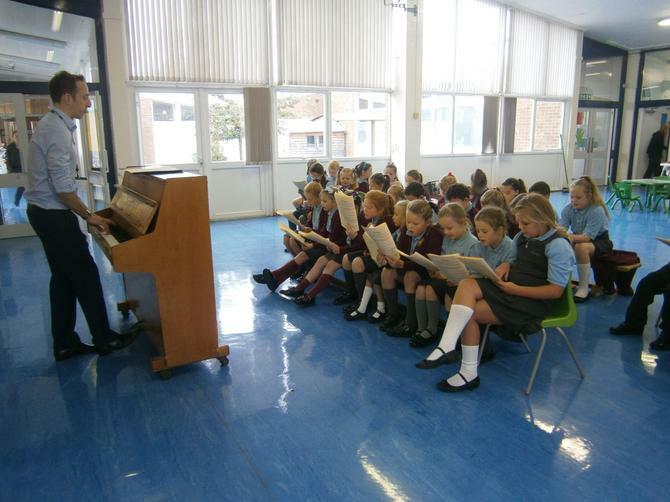 We are very fortunate to be led by Stephen Mannings, Assistant Choral Director from Liverpool Cathedral. 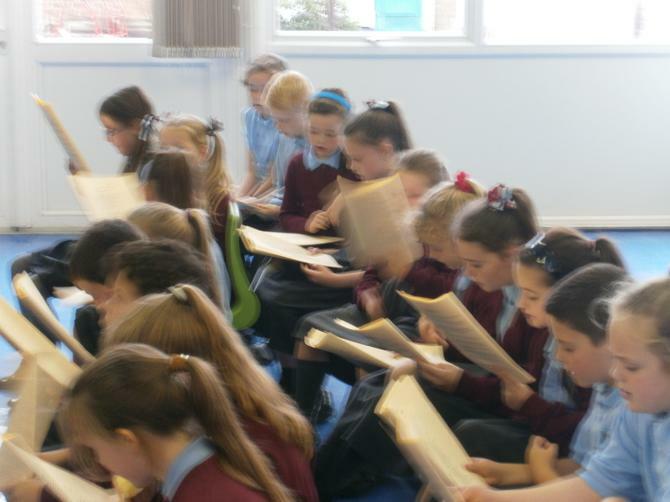 Choir practices take place on Monday lunchtimes at 12:30 - 1:00pm for children from Y2 - Y6.